Since the discovery of the first extrasolar planet more than twenty years ago, nearly four thousand planets orbiting stars other than the Sun (http://exoplanet.eu/) have been discovered. Current observational instruments (on board the Hubble Space Telescope, Spitzer, and on ground-based facilities) have allowed the scientific community to obtain important information on the physical and chemical properties of these planets. However, for a more in-depth characterisation of these worlds, more powerful telescopes are needed. Thanks to the high sensitivity of their instruments, the next generation of space observatories (e.g. JWST, ARIEL) will provide observations of unprecedented quality, allowing us to extract far more information than what was previously possible. 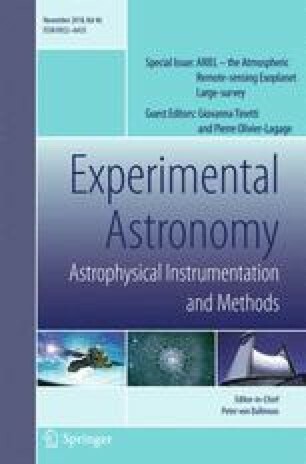 Such high quality observations will provide constraints on theoretical models of exoplanet atmospheres and lead to a greater understanding of their physics and chemistry. Important modelling efforts have been carried out during the past few years, showing that numerous parameters and processes (such as the elemental abundances, temperature, mixing, etc.) are likely to affect the atmospheric composition of exoplanets and subsequently the observable spectra. In this manuscript, we review the different parameters that can influence the molecular composition of exoplanet atmospheres. We show that the high-precision of ARIEL observations will improve our view and characterisation of exoplanet atmospheres. We also consider future developments that are necessary to improve atmospheric models, driven by the need to interpret the available observations. All figures extracted from previous publications have been reproduced with permission. The authors deeply thank the anonymous referee for his/her comments that greatly improve the manuscript. O. V. thanks the CNRS/INSU Programme National de Planétologie (PNP) for funding support. B.D. acknowledges funding from the European Research Council (ERC) under the European Unions Seventh Framework Programme (FP7/2007-2013) / ERC grant agreement no. 336792. I.P.W. acknowledges funding from the European Research Council (ERC) under the European Unions Seventh Framework Programme (FP7/2007-2013) / ERC grant agreement no. 758892. T. Z. is supported by the European Research Council (ERC) project ExoLights (617119) and from INAF trough the ”Progetti Premiali” funding scheme of the Italian Ministry of Education, University, and Research. Y.M. greatly appreciates the CNES post-doctoral fellowship program and support for travel funding.